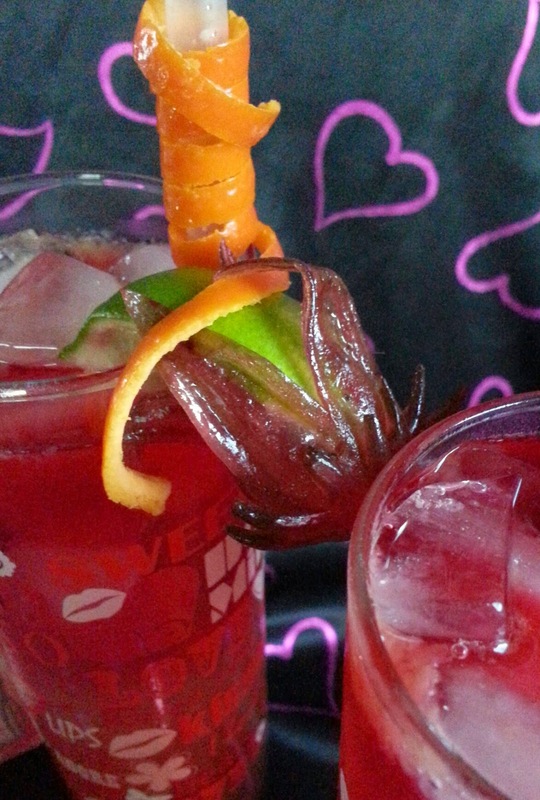 This Valentine themed cocktail is my romantic riff on a classic Tom Collins, a drink with long lived respectability and an interesting history. It's also a cocktail close to my heart, being one of the first alcoholic drinks I ever experienced. Though a classic Collins uses club soda or seltzer, I've gone with lemon lime soda in order to balance the tartness and touch of bitterness the hibiscus syrup and tea bring to the drink. The hibiscus rose syrup replaces the standard simple syrup usually employed in a Collins cocktail and plays well with the floral qualities of the gin. Collins' are in the sub family of Fizzes which belong to the Sour family of drinks and usually consist of a base alcohol, an acid in the form of a citrus, typically lemon or lime, and a sweetener such as the simple syrup or sugar, topped off with a fizzy soda. Sometimes there is an addition of bitters. 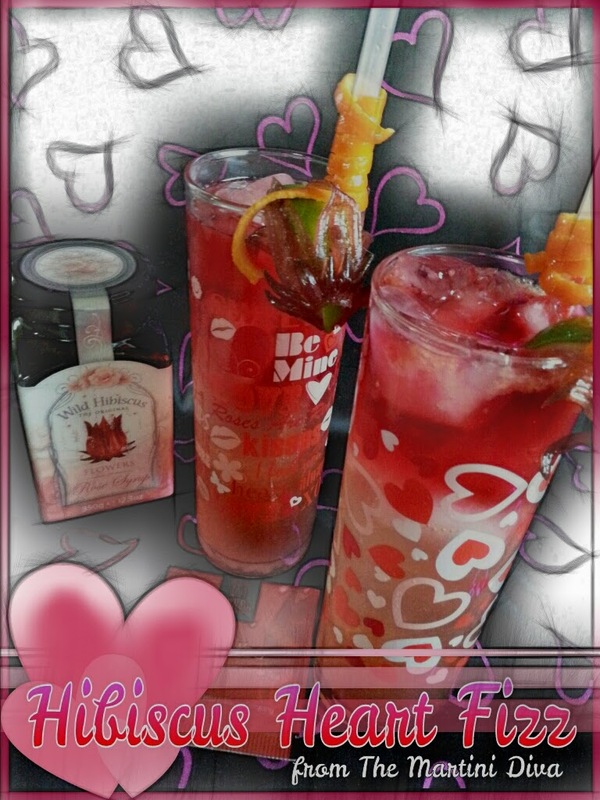 Thanks to a recent box of goodies from the Wild Hibiscus Company, I decided to take some liberties with my Valentine version of a Tom Collins by inserting additional flavors, but I've stayed true to the basic formula (spirit, sour, sweet, fizz) and ratios. The tea was an unusual of addition of a bitters element, not strictly traditional, but it pumped up the hibiscus. It also looks very Pretty in Pink floating down through the drink, perfect for Valentine's Day! Tools: Cocktail shaker, Channel Knife, Tom Collins glass, cocktail pick. DIRECTIONS Steep the Wild Hibuscus tea for 10 minutes. Allow this to cool. Cut the orange spiral twist out of the orange rind using your channel knife. Cut your lime wedge. Rinse a hibiscus flower then gently dry with a paper towel. Insert the lime wedge into the hibiscus flower, gently insert onto a cocktail pick. Set these garnishes aside. Fill a cocktail shaker with ice, add the gin, orange juice and Wild Hibiscus Syrup, shake until chilled and strain into your glass. Top off glass to 3/4 full with the lemon lime soda. Set the lime and hibiscus flower garnish across your glass. Drape on the orange spiral twist in a fun way, add a straw. In front of your guest, gently pour the Wild Hibiscus Tea over the surface of your Sparkling Hibiscus Cooler. Do not stir, you want the ombré effect of the tea slowly sinking down through the drink. 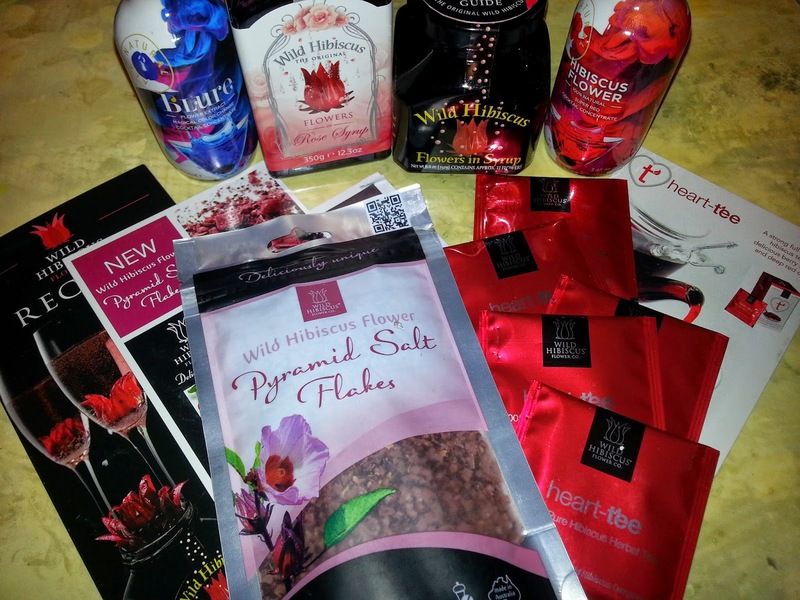 The goodies from Wild Hibiscus Company. The nice thing about this drink is, like a Collins, it can be made with gin or vodka, it just depends on your preference. The gin works well with the floral qualities of the hibiscus, but if you like things a little more subtle and less herbal use the vodka. Tip: After cutting my orange spiral I wrapped it around a straw and stuck it in the freezer for about ten minutes. This helps it keep the spiral shape when constructing the cocktail.